"There is a high likelihood this ends up in the courts, which is, in a way, unusual because typically when there’s a request like this by Congress, the matter is settled more politically with a compromise. 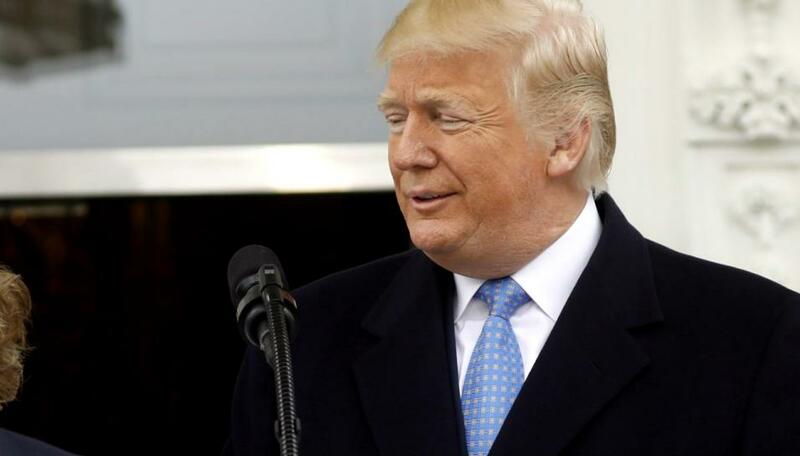 But in this case both sides have really dug in,"
The US Treasury Department will not release the tax returns of president Donald Trump according to the deadline set by the Democrats, the secretary of the treasury Steve Mnuchin has announced. Mr Mnuchin wrote a letter to Ways and Means Committee chairman Richard Neal, who had officially made the request, explaining the department's handling of the situation. It stated: "The committee requests the materials by April 10, but the treasury department will not complete its review of your request by that date." Among the concerns cited in the letter was "an abuse of authority", with Mnuchin suggesting that the law Mr Neal attempted to use was not intended "for purposes of embarrassing or attacking political figures of another party". The political weight of the request from the Democratic legislators to reveal the 45th president of the US' is not lost on anyone involved. The letter added that the department is seeking counsel from the Department of Justice "to ensure that our response is fully consistent with the law and the Constitution". Mr Trump has continually resisted attempts to have his tax returns made public, stating that they are being audited, although experts reveal this represents no legal impediment to them being released. For decades, it's been a common practice among presidents to allow their tax returns to be seen by everyone, but Mr Trump is well known for flouting convention and this case is proving no exception. The rationale behind the request by Democrats on the US House of Representatives' Tax Committee to have the tax returns released is to discover whether Mr Trump may have a conflict of interest. He retains a number of business interests while serving as president and returns for eight of these companies have also been requested. Mr Trump's own party oppose the move, saying that the Democrats are simply trying to score political points with the tax data. And even the entirety of the Ways and Means Committee, which submitted the request, are not in agreement. Its top Republican Kevin Brady called it a "political fishing expedition". He added: "The Treasury Department is right to carefully review the privacy impact this request would have on every taxpayer." US tax returns are generally kept confidential by the Internal Revenue Service (IRS), but presidents face more scrutiny than most individuals. Jessica Levinson, a professor at Loyola Law School in Los Angeles, said: "There is a high likelihood this ends up in the courts, which is, in a way, unusual because typically when there's a request like this by Congress, the matter is settled more politically with a compromise. But in this case both sides have really dug in." If it does go to court, then legal experts have warned there will be a sparse amount of case law available to judges looking for guidance on how to proceed with the matter. Meanwhile, Mr Trump has remained resolute in his approach to being asked about his tax returns, always citing the IRS audit. On Wednesday (April 10), he said: "I would love to give them, but I'm not going to do it while I'm under audit. It's very simple." If Mr Trump's tax returns are released to the public, it will undoubtedly have an impact on the economic landscape in the US, but as the president is unwilling to give them up, this isn't expected soon. The fallout is hard to predict, as experts can only speculate to what would be discovered if they were made available.